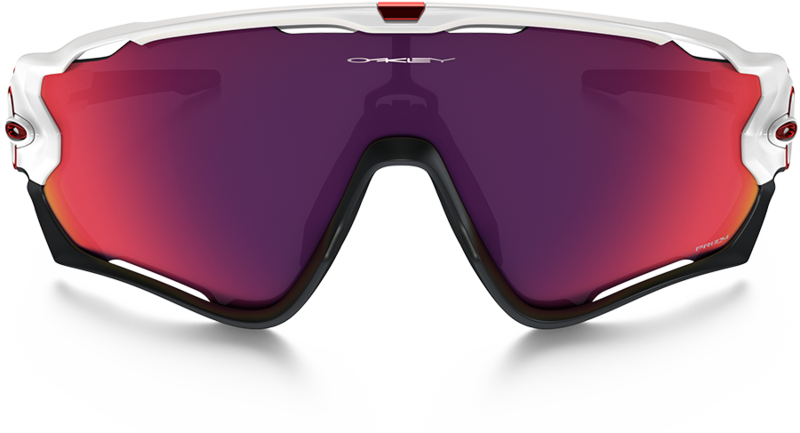 Answering the demands of world-class athletes with a 40 year heritage of uncompromising excellence, Oakley innovation has reached the pinnacle of performance with Jawbreaker™, the ultimate sport design. 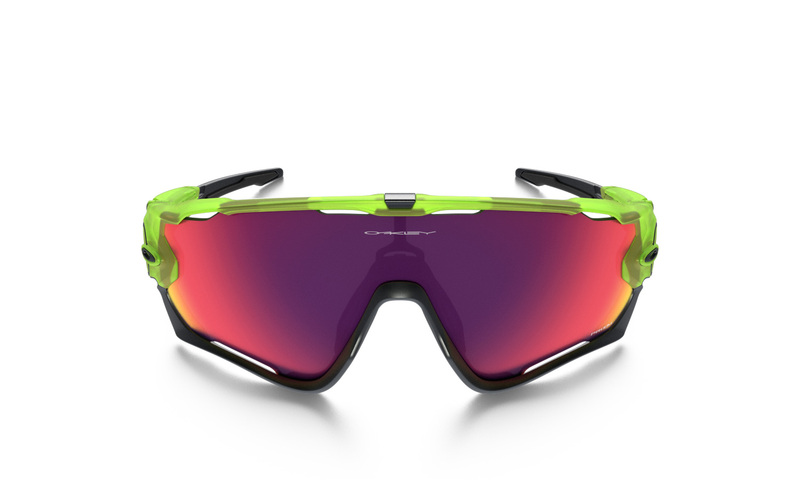 A world champion and the fastest sprinter in cycling, Mark Cavendish challenged us to overcome the limited field of view in conventional eyewear and to raise protection and ventilation to a new standard of performance. The result is Jawbreaker. 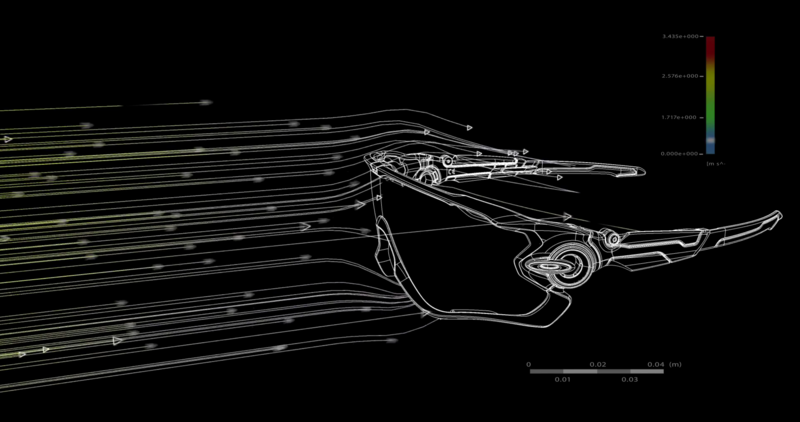 We utilized the latest technologies in eye tracking to find the angles of vision cyclists depend on most. 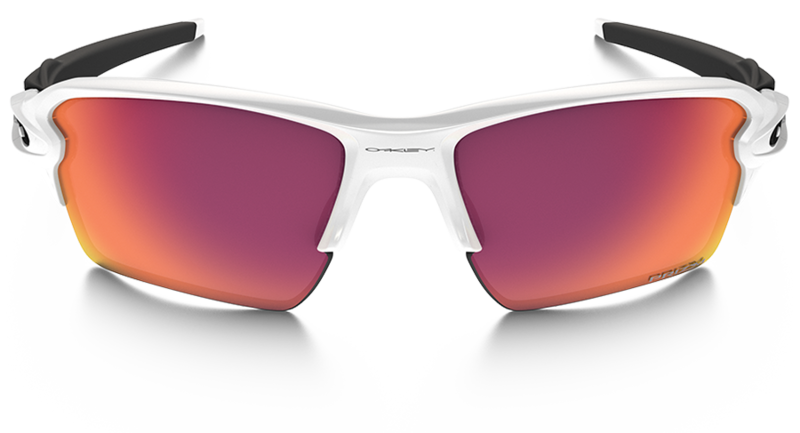 That critical information led to a greatly expanded field of view for Jawbreaker, 44% larger than standard dual-lens sunglasses. 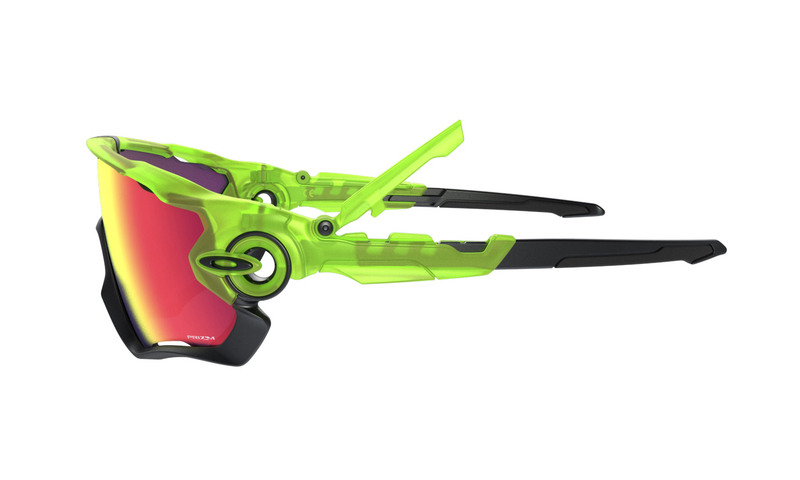 We created performance eyewear with true full-frame protection that extends around the entire lens perimeter, shielding your eyes with impact resistance without compromising the field of view or ventilation. 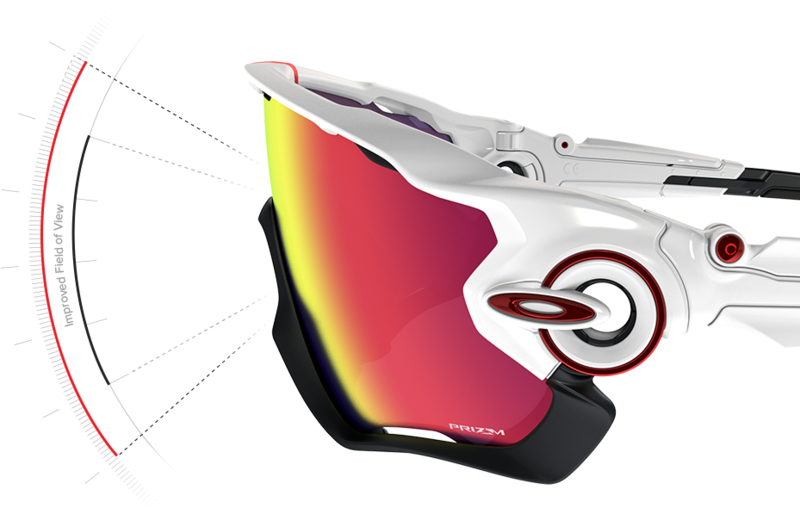 Jawbreaker utilizes the most advanced version of Oakley Switchlock™ Technology, a hassle-free interchangeable lens system. 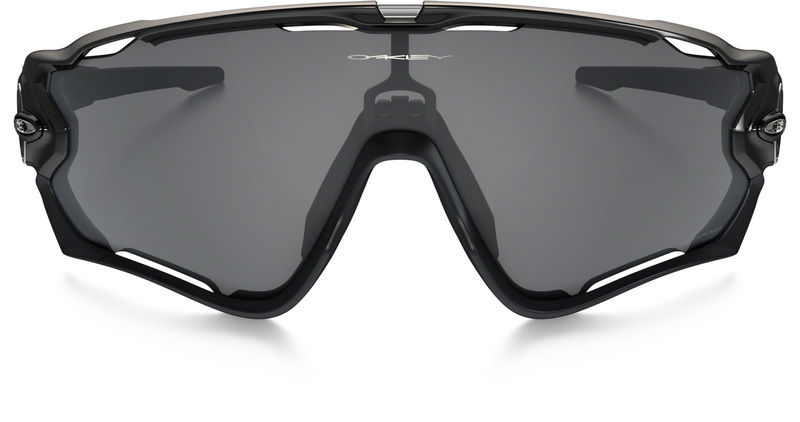 It lets you adapt your vision to the environment and helps you keep up with changing light. 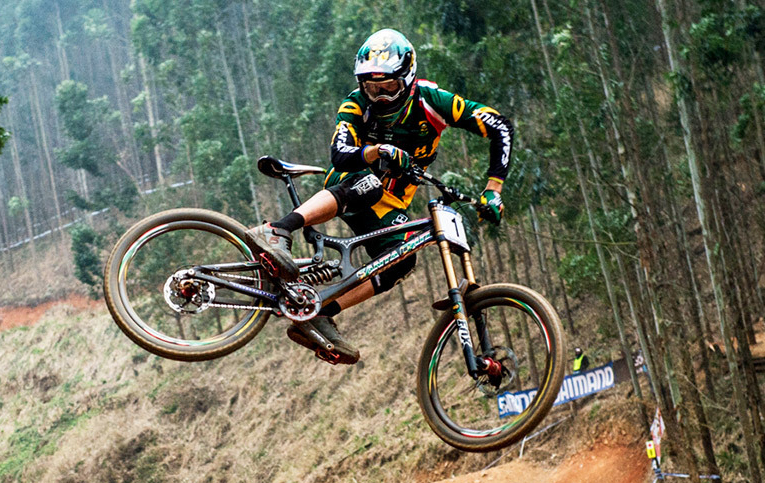 To give you the best possible fit, we analyzed everything from MTB and road helmets to variances in cranial anatomy. 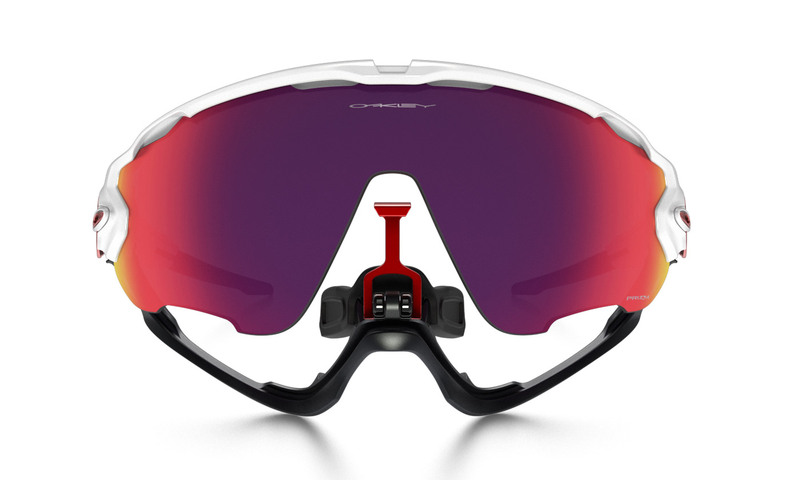 The stems adjust to three different lengths and maintain a comfortably secure grip without interfering with your helmet. 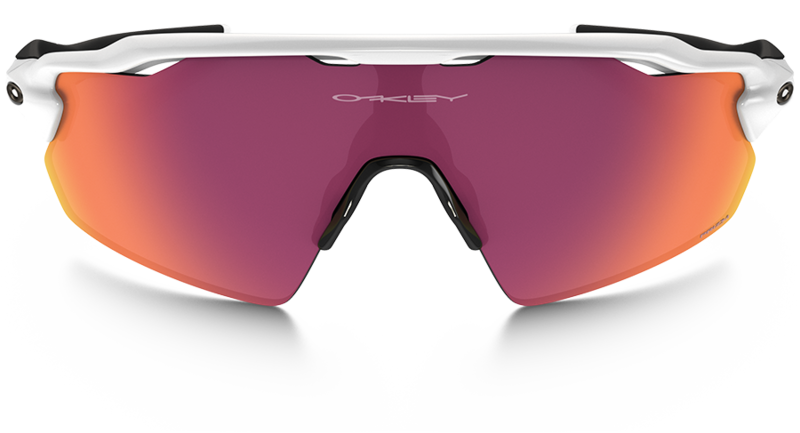 Prizm™ Trail enhances reds and browns so you can quickly spot sand, rocks, roots and other transitions in shade and bright light.